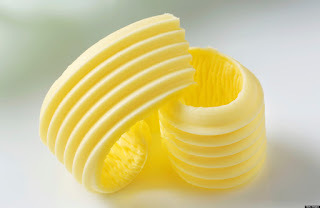 Story: The Farmer Selling Butter to Baker - Something New Everyday! There was a farmer who sold a pound of butter to the baker. One day the baker decided to weigh the butter to see if he was getting a pound and he found that he was not. This angered him and he took the farmer to court. The judge asked the farmer if he was using any measure. The farmer replied, amour Honor, I am primitive. I don't have a proper measure, but I do have a scale." The judge asked, "Then how do you weigh the butter?" The farmer replied "Your Honor, long before the baker started buying butter from me, I have been buying a pound loaf of bread from him. Every day when the baker brings the bread, I put it on the scale and give him the same weight in butter. If anyone is to be blamed, it is the baker." " We get back in life what we give to others"